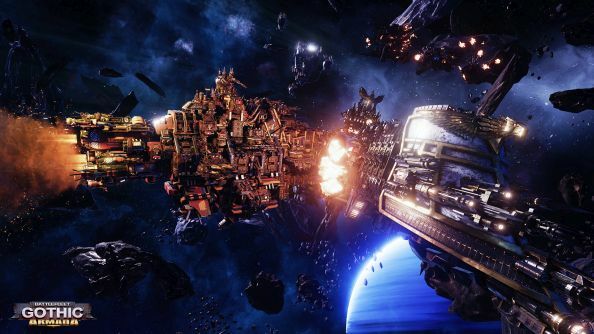 Of all the many (many, many) Warhammer games on the horizon, Battlefleet Gothic: Armada is the one I have the most hope for. It’s getting a decent amount of development time, has looked amazing in pre-release footage and is a part of the tabletop that hasn’t been explored too much before. 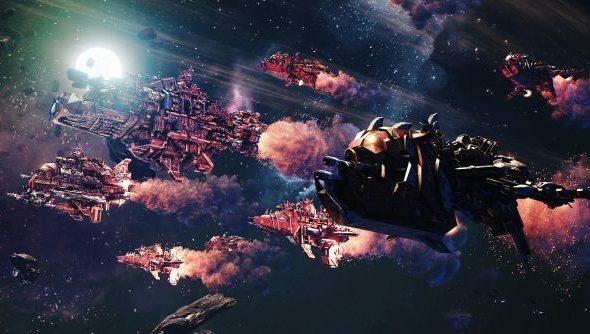 Now the greenest and gunniest faction has arrived in the Orks, who also hold the dubious award of being most fond of kamikaze runs. When your ships are made of actual asteroids, it becomes a far more valid tactic. 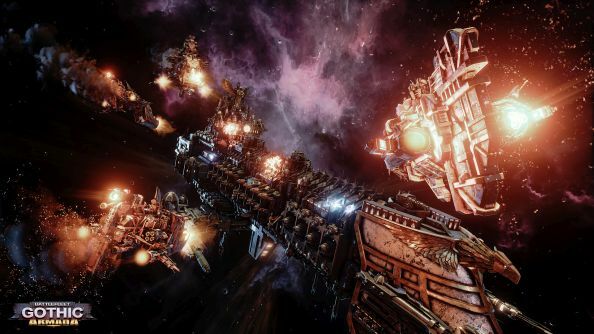 Warhammer also features in our piece on the best strategy games. After appearing in a teaser at the end of last month’s trailer, new screenshots bring the axe-wielding greenskins to the forefront. They don’t have much in the way of “strategy” or “engineers” or “good ideas” but they are all about strong armour, big guns and combining the two for devastating effect. 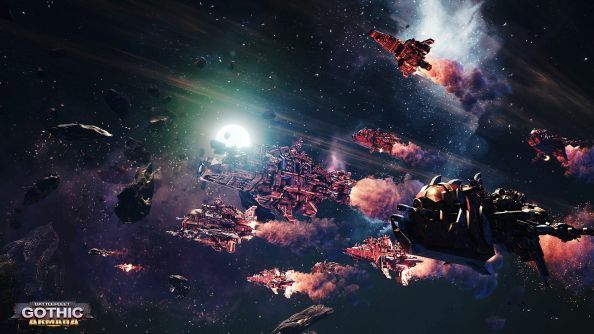 Their particular speciality will be head-on attacks, utilising the strongest area of their ships and optimal firing arcs to do tonnes of damage. I really am excited for this one. 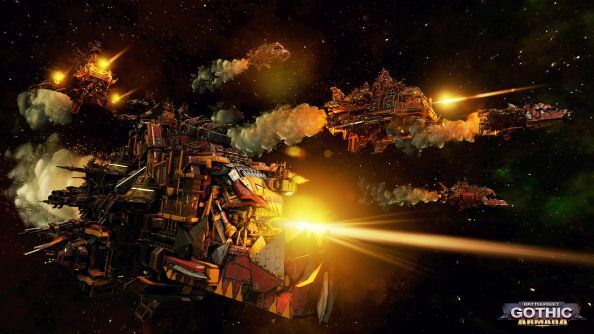 It feels like ages since the last big space RTS, with HD versions of Homeworld and its sequel only going so far. There’s a deeper tactical edge being implied here, and the universe has a wonderful pedigree of massive ships, particularly the Imperial citadels. I never managed to get into the tabletop version – I barely had the cash for a meagre 40k army in my youth, and no time these days – but the models always utterly fascinated me with their incredible designs. Seeing them in motion and, more importantly, exploding into little bits will be great. Also, it means more Focus Home Interactive Voice-over Guy. We’re mutual followers on Twitter now. It’s quite the romance.